Loss of Sky & UK TV Channels in Spain. Will we be losing Sky TV ? Speculation has been rife across southern Spain in recent weeks that subscribers to Sky, the digital satellite television and radio service from the British Sky Broadcasting Group, are about to lose certain channels, due to the service soon to be carried via a new satellite. The rumours have, perhaps unsurprisingly, been met with dismay from the many thousands of British foreign residents who are currently able to enjoy their favourite programmes shown on the primary British television channels, including BBC 1, ITV and Channel 4, via the Sky platform. Carl Smitham from Pro-Sky Communications comments: “This satellite [Astra 2F] has three beams, a UK spot beam, a European beam, and a west African beam. The UK spot beam is extremely tight to cover as much of the UK as possible. Jason Wild from Future Lifestyle Installations explains: “This will mean BBC 1, BBC 2, BBC 3, BBC 4, ITV 1, Channel 4 and Channel 5 will no longer be available in southern Europe using the usual satellite dishes. Sky subscription channels, such as Sky One, Sky Sports and Sky Movies, on the whole, should not be affected. So, when do they expected that the ‘freeview’ channels will be lost due to the switchover to a UK satellite beam from the current European one being used? It seems it is a question of ‘wait and see’. “The switchover is taking place as we speak. ITV, 4Seven and Channel 5’s selection of channels are the first to go. Expect more to disappear gradually, but there is no official date – but two we have heard of are the 16th of this month but also the first few days of January,” says Jason Wild. However, The Sky Doctor’s Mark Wood, believes that the change will not happen before Christmas. He says: “No-one really knows as we’re all in the hands of SES Astra; they are the only ones who know and they’re not very forthcoming with such details. In a recent blog post, the BBC’s Director of Distribution, Alix Pryde, writes: “In February 2012, SES retired [the satellite] Astra 2D and BBC services moved to a new temporary home on Astra 1N. Astra 1N is due to take up its permanent position in 2013 (19°East), so the BBC’s services will move to their new permanent home on Astra 2E (28.2°East) when that becomes operational … during summer 2013. “In all likelihood the move of BBC services from 1N to their new permanent homes will have no impact on UK households. Astra 2E and 2F have the same, tighter but slightly more powerful UK spot beams which means that UK households should get a slightly stronger signal. The internet: the future of watching British television in Spain? Even a three metre dish, which would be prohibitively large and costly for many people, would not be able to resolve the issue of a loss of certain channels, say experts contacted by SUR in English. This, according to many, means that streaming programmes through the internet will provide the best, if not only, way to watch the likes of BBC 1 and 2 in southern Spain. Fuengirola resident and Sky viewer, Mary Worsley, says: “I guess that what they say about the internet being the future of watching television is true! 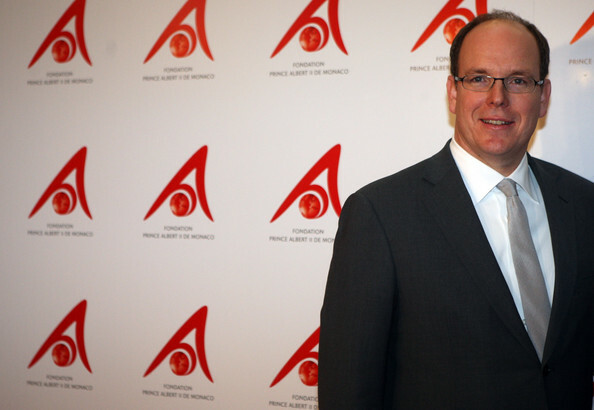 Prince Albert of Monaco was spotted out last night in Puerto Banus here in Marbella. He was out on the town and spotted in La Sala Restaurant. As your full time agent I am able to commit and devote my time towards you and your transaction. I understand that your time is valuable. I will listen to what you are looking for and show you the type of house you are looking for that is in your price range. Once we’ve found your dream home I keep on top of every detail of your transaction. I help counsel you on an offering price and handle the negotiations on your behalf. I monitor and keep a watchful eye on the many deadlines that are a part of the contract. I work hard to make sure your purchase or sale is as stress and hassle free as possible. Negotiation is one of the most important aspects to your transaction. I am able to remove myself from the emotional aspect of the transaction and help you obtain the best possible deal for you and your family. It is not uncommon for a real estate file to contain several inches of important documents. I will not only make sure that all of the necessary documents are completed, but that they are done so in a timely manner. To help position your home to sell quickly I develop a customized marketing strategy. While other agents are cutting back on advertising, I realize it’s a key component to the sales process. I will always answer your questions truthfully and to the best of my knowledge. I strictly follow the Real Estate code of ethics and have strong moral values. As your agent, I will keep you up to date with the new listings in your area and any changes to the market which can affect your purchase or sale. I utilize the latest technology to help you every step of the way. Being a full time agent allows me to continuously check market conditions and alert you as new properties come on the market. Cartier in conjuction with Engel & Volkers Real Estate in Puerto Banus threw a very lavish party last thursday Sept 27th 2012. Guests were treated to canapies and Cartier champagne flowed all evening. VIP guests were playing black jack and roulette at the tables inside the Cariter shop, guests included Gunilla Von Bismark, Isabel de Borbon, Elly Ashmawi, Neveen Ashmawi and Realtor Chris Newsham from Marbella Mansions. 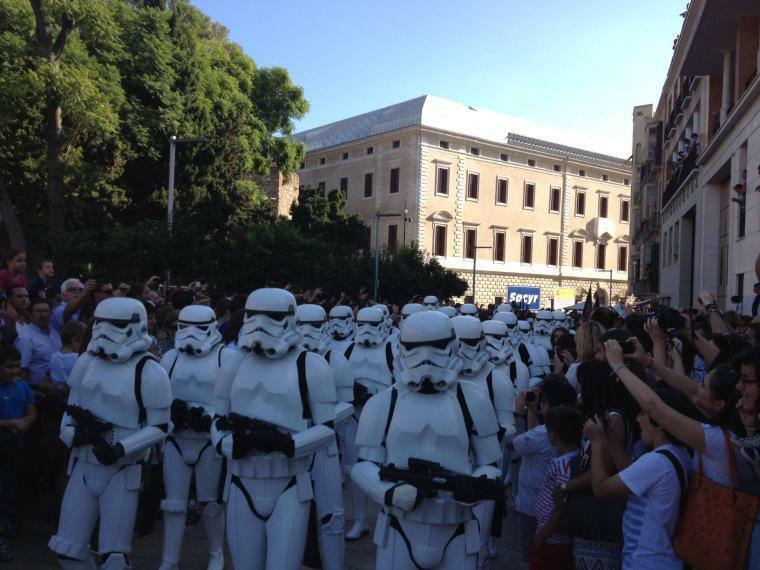 Saturday the 22nd September 2012, the streets of Málaga will be invaded by the evil imperial troops of Darth Vader! But fear not, we aren’t really under attack; this unique spectacle is actually a well rehearsed and staged event organised by the 501st Legion Spanish Garrison. So what on earth is the 501st Legion? If you are a fan of the popular Star Wars saga then you’ve probably heard of them; for those of you who don’t follow these sci-fi classics, the 501st Legion is an international fan-based organisation dedicated to the construction and wearing of amazing screen-accurate replicas of Star Wars uniforms, including Imperial Stormtroopers, Siths, Bounty Hunters and, of course, Darth Vader. Members if the 501st Legion – in this case the Spanish Garrison – make appearances at promotional and charitable events and have the full support of the films creator, George Lucas. On this occasion, they have joined forces with the ‘Fundación Luis Olivares’, a charity dedicated to helping children with cancer (and their families) in the hope that the fans and spectators who attend the parade will help support this worthy cause. On Saturday afternoon (from 5pm to 10pm) 60 members of the 501st Legion Spanish Garrison will take to the streets of Málaga in a memorable afternoon for children and die hard Star Wars fans.